With the increasing demand for beauty, in the recent years, cosmetic dentistry has continuously developed with modern technology. 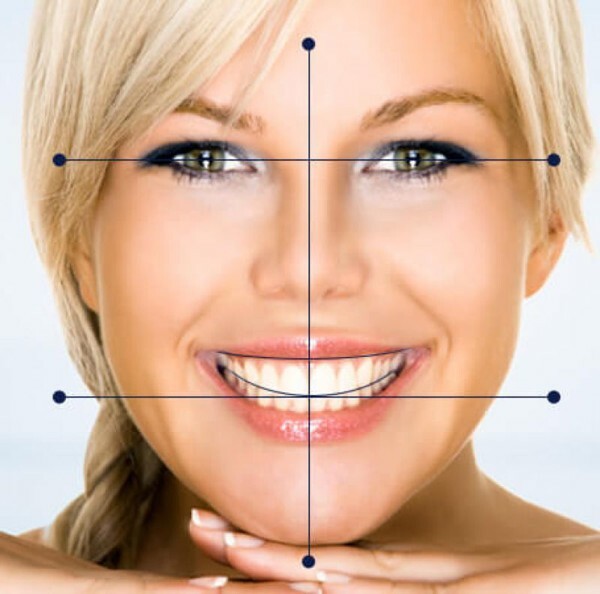 Smile Design - the technological advance of modern aesthetic dentistry has provided the opportunity for patients who wish to improve their oral cosmetic completely. Psychological studies show that nothing can strongly impress for the opposites as a beautiful bright smile. However, many people are shy to smile, not even able to communicate freely in crowded, because their teeth are not beautiful, their lips are not symmetrical, gum contouring,...They may lose their confidence, cause many obstacles in their lives and relationships. There is a dream of having bright straight teeth with them. 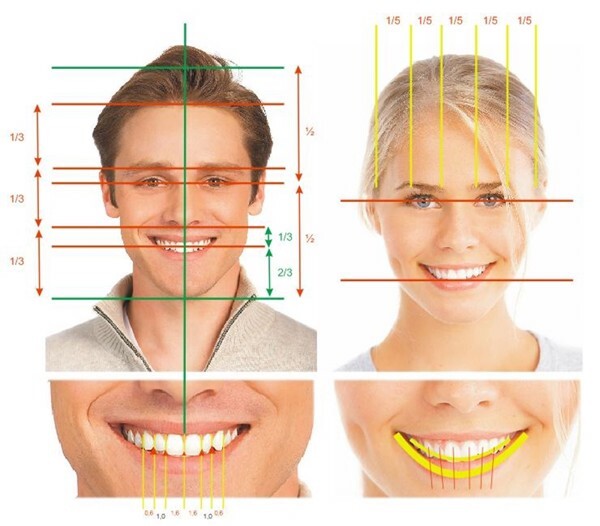 That is the reason why the digital smile design cosmetic was born and has quickly developed to become an indispensable tool of modern cosmetic dentistry helping dentists to correct these defects. Today, the dream that has a beautiful smile is no longer out of their hand. Smile design is a process of getting a better smile with the help of computers through diagnostic software, analysis and set the treatment plan including the comprehensive consideration, color, tooth shape, gums, lips, and the whole face, which combine the necessary dental method like gum adjustment, gum transplantation as well as teeth whitening, porcelain veneer, restore the bone defects, implant the dental implants,...overcome the defects bring beautiful smile to the patient. However, during the counseling and treatment planning, an important question that patients often ask is: What are the results of the surgery? It is hard for the doctor to explain and describe for the patients clearly when only through speech. So the patients will feel anxious and vague about the treatment plan. 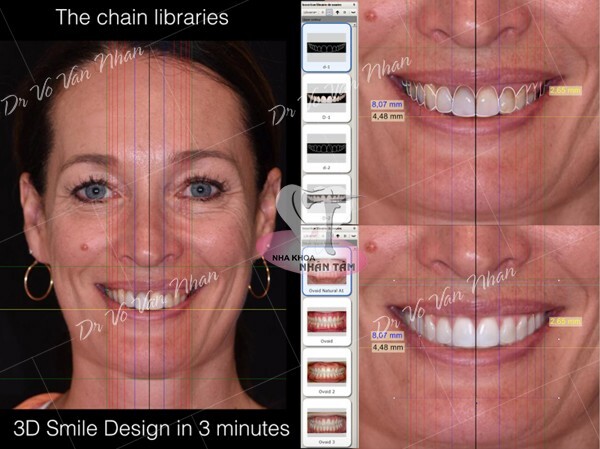 Therefore, the smile design software is a powerful arm for doctors to help the patients overcome their worry. Because all of the patient's image data is analyzed by the software, the doctor's calculation will base on the image that the patients can see. This means that the patient easily understands the treatment plan as well as sees the intuitive results on the computer before the treatment. - Predictable results by images. - Identify problems, minimize the shortcomings during the procedure. - Easily discuss and select the optimal treatment. - Reach the aesthetic expectations of each patient. 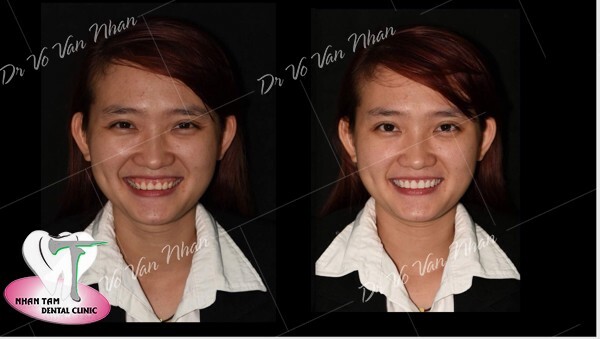 Understanding the wishes of patients, Nhan Tam dental clinic as also successfully applied this modern technology in dental treatment. 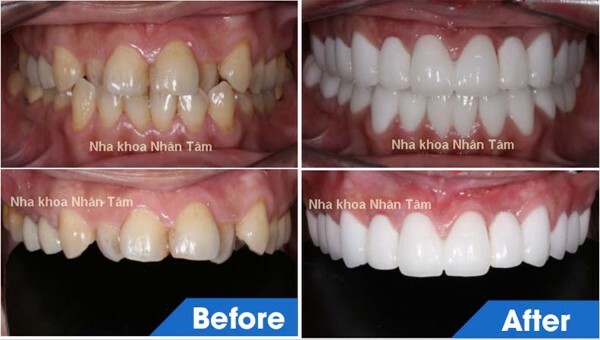 With the support of Smile Design Pro software, doctors at Nhan Tam Dental Clinic always bring satisfaction to patients in developing comprehensive treatment plans with optimal results for each patient.